3/12/17 Please note: this post has been updated since first published to include additional novels. Second in my occasional series Meet an Aussie Author is one of Australia’s best loved authors of literary fiction, Alex Miller. It was a real thrill for me to meet him at the Melbourne Writers Festival and have him autograph my copies of Journey to the Stone Country; Lovesong; and Landscape of Farewell so I was delighted when his publicist at Allen and Unwin passed on his replies to my Meet an Aussie Author questions. Thank you, Alex and Renee! He has won the Miles Franklin Award twice: for The Ancestor Game in 1993, and Journey to the Stone Country in 2003. Many of his novels have received multiple awards. His first major award was in 1993 when The Ancestor Game won the NBC Banjo Award, the Commonwealth Writers Prize and the Miles Franklin Award. The Sitters was shortlisted for the Miles Franklin in 1996. Conditions of Faith won the NSW Premier’s Literary Award in 2001. It was nominated for the Dublin IMPAC International Literature Award, and shortlisted for the 2000 Colin Roderick Award, the Age Book of the Year Award and the Miles Franklin Award in 2001. Journey to the Stone Country won the Miles Franklin Award in 2003, and the State Library of Tasmania’s People’s Choice Award in 2005. Lovesong also won The Age Book of the Year Award and was shortlisted for the Prime Minister’s Literary Prize and the Miles Franklin Award in 2010.
in 2008, Alex Miller was awarded the Manning Clark Cultural Award for an outstanding contribution to the quality of Australian cultural life. 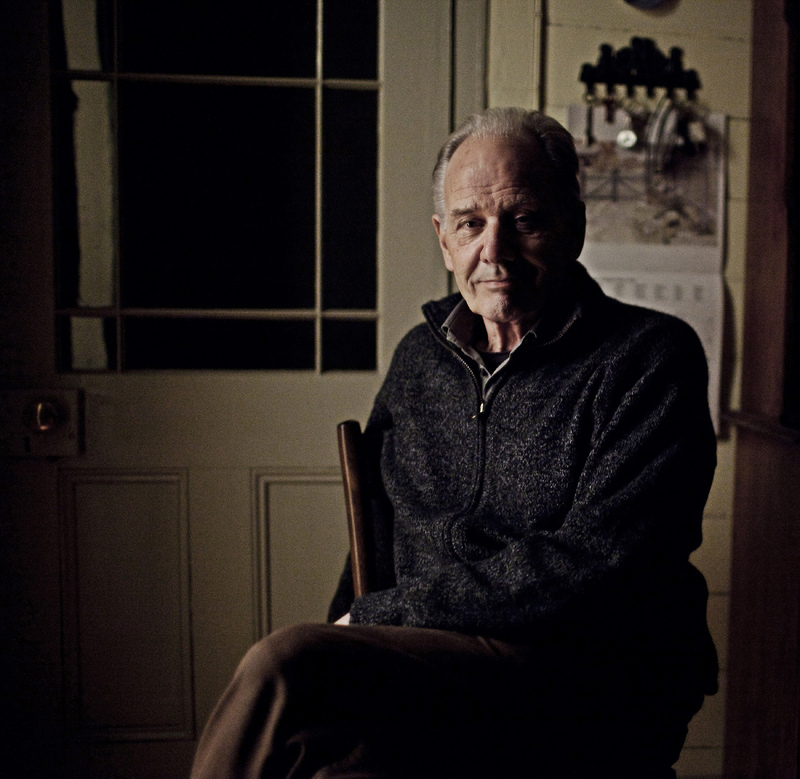 In 2009, he was named as a finalist for the inaugural Melbourne Prize for Literature. Here are Alex Miller’s answers to my questions – thanks for participating, Alex! 1.I was born in Pimlico, West London on 27th December 1936 and came to Australia alone when I was sixteen – in search of Sidney Nolan’s outback. 2.When I was a child I wrote almost nothing. 3.The person who encouraged mentored and inspired me to write was my dear friend Max Blatt. 4. I write in my study in Castlemaine. 5. I write six days a week and have done so for thirty two years. Sunday is my first working day of the week. 6. Research is usually less useful or necessary than I first imagine it will be. 7. I keep my published works on my bookshelves in my study along with the rest of my library. 8. On the day my first book was published I was busy writing my third novel and was feeling apprehensive about reviews – justifiably as it turned out. 9. At the moment I’m writing a novel called Autumn, which is being “written” by an 85 yr old woman. 10.When I’m stuck for an idea/word/phrase I just keep punching till I get it. Thanks to Alex for participating and to the Allen & Unwin Author Page for Alex Miller for some of the above information. How nice to know there is another novel on its way! Interesting one Lisa, well done. I think Catherine, like Alex, said much the same thing to no. 10 – just keep on writing (didn’t she?). It’s what I tell my daughter when she gets stuck with major works – just keep writing! So, I’m glad I’m not out of touch with what the professionals say! Oh, and I must read more Miller as I did love Lovesong. Hi Sue, yes, keep writing anyway is what we were told as well. When I’m doing this blog and I get stuck for a word or I can’t see how to fix something clumsy I just mark it with FIX or CHANGE beside it and plod on. LOL Of course I know that one of these days one these markers will escape into public life to embarrass me! Oh you’re probably right re plot … that’s a bit hard to write through. If I ever see a FIX or a CHANGE I’ll let you know … but I haven’t seen one yet. I have to admit that Miller is one of those authors I’ve not read, mainly because he came to prominence after I’d left the country. I do have 3 of his books in the TBR now, squirreled away for a bit of a Miller binge at some point. I’ve only ever heard good things about his work. And how brave of him to arrive on these shores all by himself at the age of 16! Doing this post made me realise that I need to track down these early ones, especially the first one that he refers to LOL! How lovely to read these responses – especially as I have just finished Lovesong and loved it! There is something wonderfully reassuring about his answer to no. 5. And No 8 too, reassuring for writers and a warning to reviewers: I bet whoever wrote that unflattering review of his first novel would like to slink under a rock now that he’s so successful! Interesting questions and answers, thanks Lisa. Lisa I have only read Conditions of Faith. Which novel would you (and your fans) recommend starting with from here? I think I would start with Journey to the Stone Country, It’s the one I most want to re-read, and I think it’s the one for which he will be remembered best. It is years and years since I read it, yet I can still picture the landscapes that he conjured.